However, what those eager sellers tend to not realize is that the soft costs of handling a real estate deal far outweigh what they’ll spend on a commission. While real estate practitioners are aware of everything that goes into a home sale, it’s not always easy to convince a consumer that the FSBO model is much more involved than posting a yard sign and sharing their listing on Facebook. Real estate agents are salespeople, and the best are relationship-driven salespeople. When a seller chooses an agent, they also choose that agent’s network — a built-in audience to present their listing. 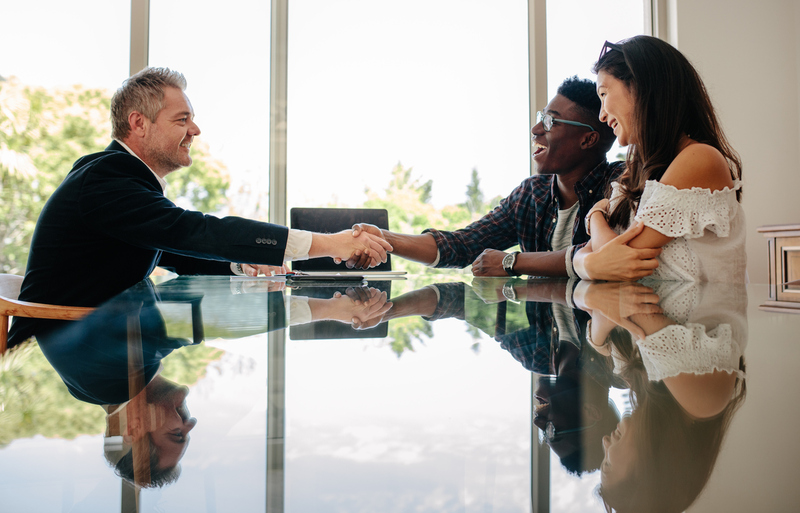 Remind FSBO prospects that you spend a lot of money and time on technology, events and handshakes to create a database of buyers and build a referral network. Before a listing has even taken its first breath in the market, the best agents already know of interested buyers. For example, our Sphere product can display your brand across the web based on an uploaded contact list. By including potential sellers in your campaign audience, you can demonstrate a level of marketing knowledge and reach that most FSBO sellers can’t match. Forging relationships and matching buyers to homes takes years of expertise that simply can’t be replicated with a paint-by-numbers FSBO marketing plan. From faster documentation to smarter transaction management, real estate agents are markedly more prepared than ever to combat the misconceptions about complicated deals and antiquated sales processes. When coming up against a possible FSBO in a listing presentation, showcase the tools you and your office have invested in to ensure that your clients are updated on market activity, online advertising metrics and the systems in place to streamline the transaction once in escrow. Incorporate listing advertisements into your presentation and show your potential sellers how you plan to market their home across major websites, in mobile apps and on social media. Provide a real life example of the reporting they’ll receive on their listing’s performance. Remind them, too, that technology alone can’t make a deal go smoothly. Instead, it’s a powerful catalyst that augments the expertise of a professional, something many FSBO sellers lack, even when given “the tools” as part of whatever selling approach they’re considering. The nation is gripped in a low-inventory seller’s market, which may prompt homeowners to think selling will be easy… stand back and count the offers. However, agents know that the exact opposite is true. The more offers that come in, the harder it is for sellers to consider the right one. If someone is paying cash, does that automatically make it better? What is the best way to “pro/con” every offer’s contingencies and dates and inspection periods? Some want the appliances, others want them removed. The list goes on. The terms and numbers that bounce around in multiple-offer scenarios are a lot to handle for those not trained in how to compare and contrast what’s best for the seller. In fact, remind any FSBO prospect that this is where agents truly earn their commissions: knowing what type of offer has a better shot at making it to closing. Again, an aspect of selling real estate that comes only with experience. The real estate industry is entering a tumultuous period of technological upheaval. Consumers have real options when it comes to deciding how to sell a home, including the quickly-growing “ibuyer” model introduced by Opendoor and now also championed by Zillow Offers. However much money Opendoor, Purplebricks and Zillow may have, they remain a minute portion of the real estate knowledge marketplace. True wisdom for the deal is gained in the trenches, by meeting with sellers and buyers and families face-to-face, not outbox to inbox.